The blaugranes needed this win against Madrid CFF to continue fighting for the league title. The home team took the lead at the start of the second half and Fran Sánchez’s players were able to turn the game around through strikes from Alexia and Losada. Also, the game saw Mariona Caldentey make her first team return after four months out injured. Both sides began tentatively in attack with both defences on top. Alexia was prominent in the early stages as she looked to create opportunities. 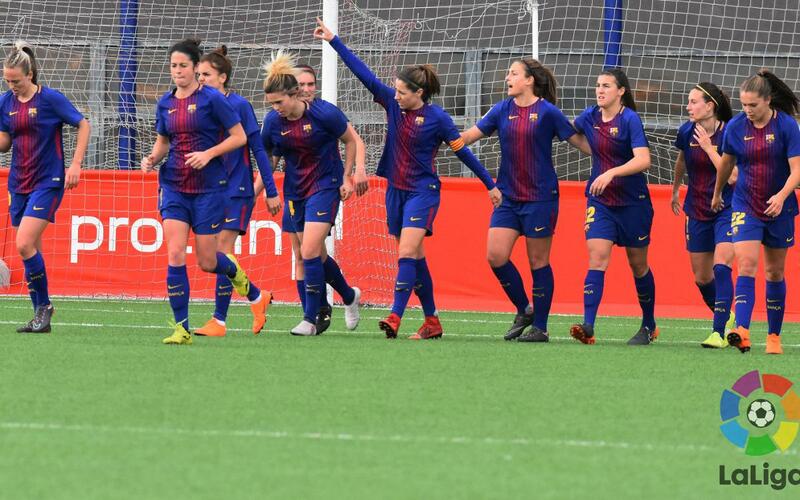 Barça began to have more of the ball and they went close through Mapi León and Olga. However, the home team’s keeper Paola was equal to the task. Mascaró’s goal was a setback for Barça, in a game which they had dominated. In spite of this, they gathered themselves and counter-attacked excellently with Alexia fittingly getting the equaliser (1-1).